One of the things I learned while working in a meal assembly kitchen is that when it comes to eating healthy, portion control is critical. Sure, one can say it’s healthy to eat chicken as opposed to beef. But if we start talking about eating entire chickens in one day…that is not so healthy. Eating healthy is about eating the right amounts of the right foods. One of the struggles I find is when I’m looking at certain packages, the bag will specify an appropriate serving size, but it’s a food that isn’t easily measured. I mean – a ½ cup of ice cream can be a scoop in a half cup, or a fully packed ½ cup, you know what I mean? If you want to be able to measure and control the amount of food you’re eating, you need a scale like the EatSmart Precision Digital Scale. The EatSmart Precision Pro Digital Kitchen Scale is an economically priced multifunction home scale, perfect for everyday tasks from weighing food or ingredients to calculating postage. Along with our Precision Pro, you will also receive a FREE Calorie Factors Book making it easy to achieve goals such as portion control and calorie counting. I love kitchen gadgets. And a kitchen gadget that is actually useful gets an A-OK in my book. First off, the EatSmart Precision Pro Digital Kitchen Scale simply looks cool. The scale itself is made of plastic and is light-weight, but the shininess and the chrome give the scale a very elegant look. Turn on the EatSmart Precision Pro Digial Scale by hitting the “On/Off” button. Place the empty container onto the scale. Hit the “Tare” button. The scale will go back to zero with the container still on the scale. 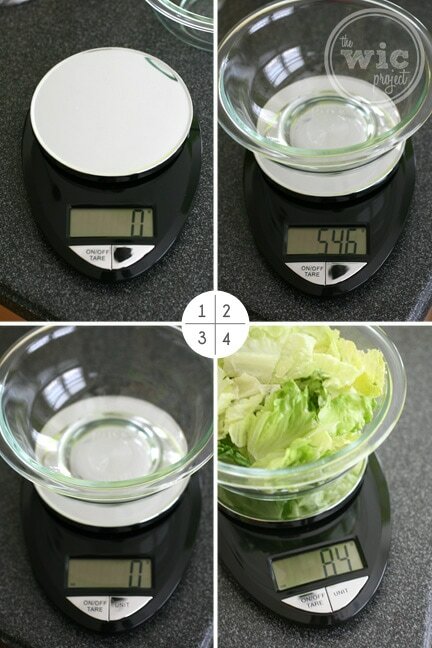 Add the food to the container until you reach the desired weight. I really liked that I could measure out an actual serving of lettuce for my salad. According to the package, one serving is 2.5 cups, but with leafy foods, it’s very difficult to know how exactly they measured that amount. The packaging also provides a weight for a serving size, which I was able to measure out using the scale. 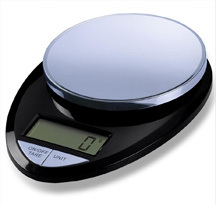 Since the scale gives an exact weight, this is also an excellent tool for calorie counters. The EatSmart Precision Pro Digital Scale included a Calroie Factor Booklet, which gives you a quick reference for calculating calories based on weight. This bowl of Romaine Lettuce has a Calorie Factor of 0.17, which means my 84 grams = 14.28 calories. The scale can weigh up to 11 pounds and you can choose the measurement unit that works for you – grams, ounces, kgs or lbs. You easily cycle through the unit options by hitting the “Unit” button. After you’re done, simply wipe the scale with a soft damp cloth to clean it. You can hit the “Off” button, or it will automatically turn off after 3 minutes. The EatSmart Precision Pro Digital Kitchen Scale is a sleek and useful solution to make sure your portions are just right or to help you calculate your caloric intake. The EatSmart Precision Pro Digital Kitchen Scale is available in five colors – white, red, black chrome, white chrome, and silver. You can purchase the scales online through Amazon where they are currently on sale for $25.00 plus free shipping! One winner will receive their own EatSmart Precision Pro Digital Kitchen Scale! Leave a comment telling me what foods you’ll be weighing with the EatSmart scale if you win! +1 if you visit the EatSmart Products website and leave a comment with another product you like. +1 if you follow EatSmart on Twitter. Giveaway ends at 11:59 PM EST, May 18, 2011. I would weigh meat and for my husband white rice since the doctor said he should have not more than 8 ozs a day. I would use it to control portion sizes, especially of meat and starches. I like the digital body fat scale. I would weigh all sorts of things. Produce, ingredients in baked goods, maybe even zero out my plate and weigh out servings so I don’t overload things. I would be weighing all different items. Mostly fruits and veggies. this be great for my weight loss. Chicken and Rice. I would weigh tofu and rice. I also like the EatSmart™ Precision GoFit Digital Body Fat Scale. The fact that it more than a scale and can calculate bone mass and what not is really cool. I would use it to weight out ground beef and cheese for recipes. I would weigh out chicken and other meat! i will be weighing out oils for making home made soaps. I’d weigh meat, ice cream, and cheese. I’ll be weighing meat portions for my husband’s diet. I would weigh meats and check the weight of certain letters/packages that are mailed. I like the EatSmart Precision Digital Bathroom Scale. I follow EatSmart on fb. 3 members of my family are on Weight Watchers. We will be weighing EVERYTHING! Meats are the hardest to guess a weight on. I also LOVE the EatSmart™ Precision Voyager Luggage Scale. It would come in SO handy because I live 3000 miles away from the parents and siblings and travel at least once a year to visit. 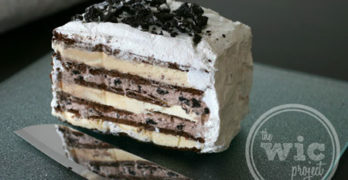 I will be weighing almost all of the foods that are higher calorie like breads, pasta, meats, and desserts. I would be weighing meats! I would love this in my kitchen! I already “Like” The WiC Project on Facebook. I would be weighing almond flour and chopped almonds, to convert a family recipe from Italy from grams to ounces. I also like the Precision Voyager Digital Luggage Scale. I will use it for meats – mostly chicken I am sure! I like their bathroom scales too! I “Like” EatSmart on Facebook – emillie rose. I “Like” The WiC Project on Facebook – emillie rose. I follow EatSmart on Twitter -hisprincess886. I follow The WiC Project on Twitter – hisprincess886. I follow The WiC Project on Google Friend Connect – emillie. I subscribe to The WiC Project via email – using my emillie(lastname)@gmail.com address. I shared on twitter – http://twitter.com/#!/HisPrincess886/status/69031770728828928. I’ll be weighing just about everything I eat including meat. I like eatsmart on fb and told them you sent me. I like to buy in bulk so I would be measuring sugar, powder sugar, chocolate chips, etc for recipes. I will probably weight just about everything, to keep up with calories to I can lose weight! I’ll be weighing my chicken. I’m never quite sure of the ounces. I would weigh chicken and ground beef. I would be weighing my proteins-chicken, beef, fish etc as I tend to make too big portions. I’d use the scale to measure all sorts of ingredients for recipes. I like the EatSmart Digital Bathroom Scale w/ Extra Large Backlit 3.5″ Display and Oversize Platform. I’m a facebook fan of EatSmart Products under username Jennie Tilson. I would be weighing my veggies at the office. I’ve been meaning to get a mini scale for work 🙂 Thanks for the chance! I would definitely use it to weigh out portions of meat, but it looks like it can be used to weigh just about everything! This would be great for weighing fruit and nuts. Ground beef and chicken are foods that I would weigh. Precision GetFit Digital Body Fat Scale. everything! I’m trying to lose about 15 lbs and portion sizes are really difficult! chicken, and beef in particular. I will weigh salmon and shrimp. Thanks for the giveaway. I’ll be weighing my baking ingredients. I love eating nuts for a snack but I always over do it! This will help me not make that mistake! I would love to have their body fat scale! I would weight things like meat, cereals, and nuts, since it is too easy to portion out too much of those items. One thing would definitely be meat. I also like the Precision Digital Bathroom Scale. I would weigh sugar and nuts. I’ll be weighing meats and veggies mostly. Like eatsmart on fb (Matty N’ Sarabeth) & told them you sent me. I will weigh chicken and turkey!!! i will be weighing out my cereal and fruit snacks! I liked EatSmart on Facebook as Janet C.
I would use it to weigh my proteins – fish and chicken! I’d weigh patties and meatballs to make sure they’re all uniform so they’d all have the same amount of calories. I will be weighing my meat products. I will be weighing hamburger meat, beef and chicken. Baking supplies, fruit and veggies.